What it is: Norwegian billionaire Kjell Inge Røkke has contracted the world's largest yacht, devoted to scooping up and reusing plastic from the world's oceans. 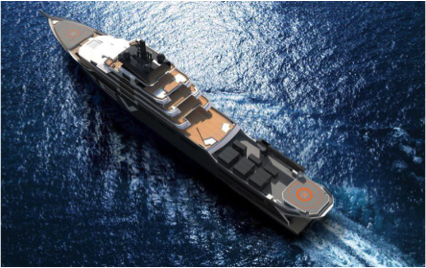 In addition to scooping up and melting down 5 tons of plastic per day, the 595-foot vessel will provide scientists access to laboratory space, sea and air drones, an auditorium, two helipads, and an autonomous underwater vehicle -- all in an effort to facilitate exploring undiscovered regions of the world's oceans. Why it's important: Today, individuals have the power to take on -- and solve -- challenges that only governments and large companies could feasibly consider. Imagine what happens when more people around the world take on their Moonshots with services like HeroX. 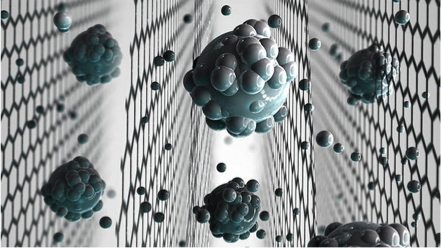 What it is: Scientists from the University of Manchester recently created a graphene-based sieve that can filter salts from seawater. Typically, the ability to manufacture graphene-based barriers at scale is quite difficult. By using the chemical derivative graphene oxide, this material can now be produced by simple oxidation in the lab -- what's more, it beats single-layered graphene in terms of scalability and cost. By removing salt from seawater, this material could potentially help millions of people without ready access to clean drinking water -- at scale. Why it's important: As mentioned in Peter's blog Materials Science and Technology Convergence, we've been able to use graphene over the last 10 years to make new kinds of electronics, high-performance transistors, new kinds of sensors, and new kinds of composites based on its unique properties. These new materials enable breakthroughs and new capabilities that would have seemed like science fiction just a few years ago. 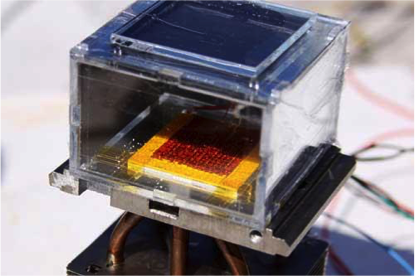 Why it's important: This prototype generates water from thin air -- more evidence that technology makes scarce resources abundant. Imagine how humanity would transform if every family on the planet had access to a solar-powered device like this one, giving them the ability to produce enough water to meet their entire household's needs. Why it's important: Is are continuously getting better -- and will only continue to improve. Deep learning networks learn from their collective experiences, and improve centrally and continuously. Although news of this Go victory is important, the bigger story is the opportunity landscape that emerges as AI demonetizes and democratizes. 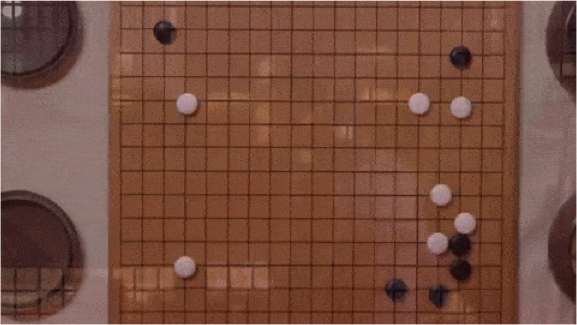 What becomes possible when AI is 10x cheaper, better, faster and easier than it is today? 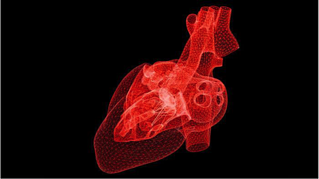 What it is: University of Nottingham epidemiologist Stephen Weng and his colleagues have created an algorithm that can outperform standard methods at predicting heart attacks. The team tested four AI algorithms (random forest, logistic regression, gradient boosting, and neural networks) against the American College of Cardiology/American Heart Association (ACC/AHA) guidelines for predicting a patient's risk of experiencing a cardiovascular event in the next decade. All four algorithms outperformed these standard guidelines, with neural networks correctly predicting 7.6% better than the ACC/AHA method. Interestingly, several factors the algorithms identified as strong predictors were not on the list of the ACC/AHA guidelines (i.e. oral corticosteroid use), while top 10 risk factors under the ACC/AHA like diabetes were not considered. Why it's important: More evidence of the scientific breakthroughs we're about to make thanks to AI's ability to evaluate significantly larger datasets and incorporate more complex variables faster, better, cheaper and easier than current methods. Time will only tell what discoveries or contrarian insights will come as more doctors leverage machine learning to amplify their decisionmaking abilities. 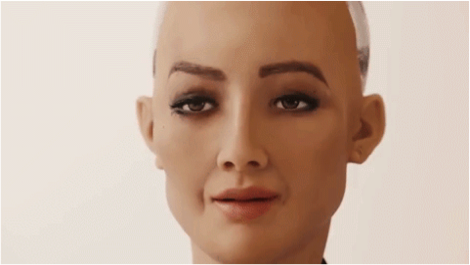 What it is: Saudi Arabia has just granted citizenship to Sophia, a humanoid robot developed by Hanson Robotics — the first time a country has granted a robot the same basic status and privileges as humans. The announcement took place onstage at the Future Investment Initiative in Riyadh, reports Fortune. “I am very honored and proud for this unique distinction,” Sophia said to the audience during her presentation. Why it's important: As robotics, artificial intelligence, sensors and other enabling exponential technologies develop, we’ll start to see more humanoid robots that look, sound and even feel truly lifelike. How will humans respond as these next-gen robots become integrated throughout society — namely, in our communities, offices and homes? What it is: For the first time, a robot has successfully implanted two 3D-printed teeth into a live patient. The procedure was only assisted in its initial step: ahuman initially oriented the machine to the patient and programmed the correct measurements and movements. It isestimated that around 400 million Chinese are in need of dental implants, yet just 1 million operations are done each year. For those that seek cheaper alternatives, additional complications are commonplace. In addition to meeting this unmet need, robotics should also dramatically reduce error rates and complications. Why it's important: As with other professional services like law and medicine, many people simply do not have access to dental services due to the cost of inadequate supply. Robotics and AI fill this need, recursively providing a source of funding that drives experimentation and innovation into robotics. 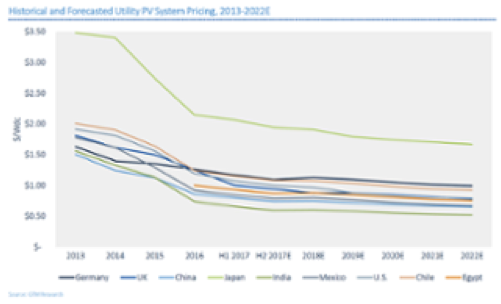 Look for rapid adoption in China in the near term, and for those developments to filter into markets globally. What it is: In a first, two infantsin London have been cured of leukemia via reengineered T-cells. 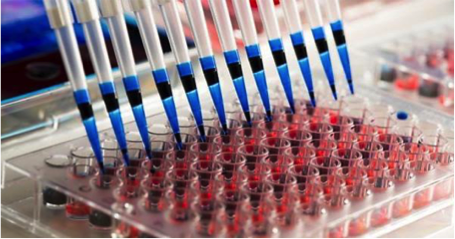 Using a gene editing method called TALENs, the London team made a total of four genetic changes to donor T-cells -- one that eliminated the propensity to attack the cells of another person, and another that caused the T-cell to target cancer cells directly. Although the therapy was provided in conjunction with chemotherapy, both children are in full remission. Why it's important: Despite the caveat that the T-cell therapy was combined with chemo, it's significant that the engineered cells do not appear to have attacked the patients' tissue, which has been a major roadblock in expanding treatments to a larger set of patients. With a potential order of magnitude cost reduction, this is a big step forward for immunotherapy, not to mention the quest for eliminating bloodborne cancers and the adoption of gene editing techniques. 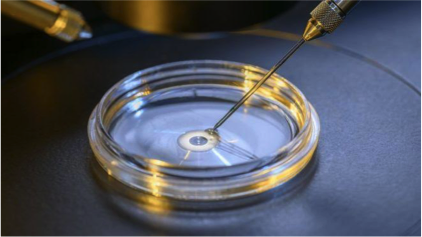 Why it's important: This research is an exciting look into a new frontier of preventative treatment, where we can cure inherited genetic diseases in the embryo stages. Professor David Liu, a base editing pioneer at Harvard University, says this technique is more efficient, with fewer undesirable side effects, than CRISPR.